Silicone carbide grinding sharpening disc. The sharpening disc has 2 angled faces and a backing guide disc. 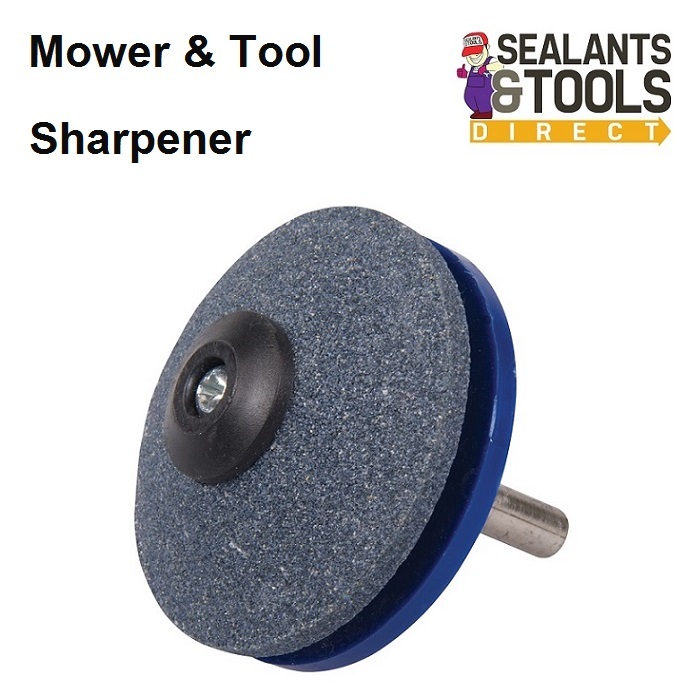 Used for sharpening cutting edges on rotary lawn mowers and cutting tools such as shears. Suitable for all power drills. Use at a Maximum of 4500rpm. Best and safest results are obtained by holding the drill in a vice or firmly clamped.